For a safe, reliable, supply of water. Precision Water Distillers, brings to you steam distillation. 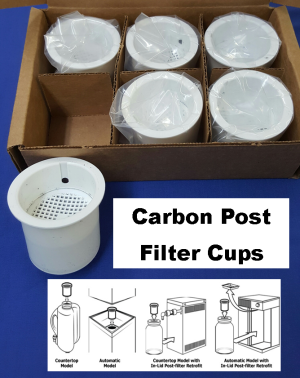 A pure process of water purification… to produce clean, healthy, drinking water in your own home or business. Boxed at the factory….. New Full warranty, When boxing noticed there were minor scratches on the unit. No plumbing is required for the 8-M. 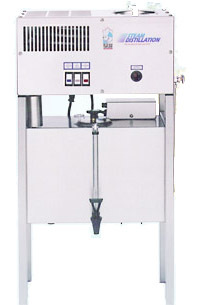 This allows a distiller for portable use, ideal for the cottage, motor home or small apartment. Water does not touch any plastic in this machine, so BPA Free. Perfect for the single person or small family. 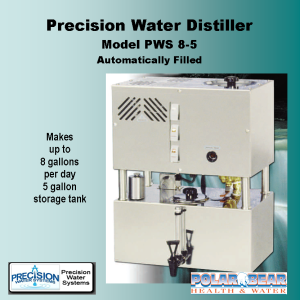 This water distiller will deliver approximately one gallon of pure steam distilled drinking water per cycle. Made with mirror finish stainless steel this high quality distiller will provide long life and easy cleaning. Built to last a lifetime. Distillation & The Hydrologic Cycle: Mother Nature and the Sun evaporates moisture from ocean water and from the earth , this moisture collects as clouds and comes down as pure rainwater. 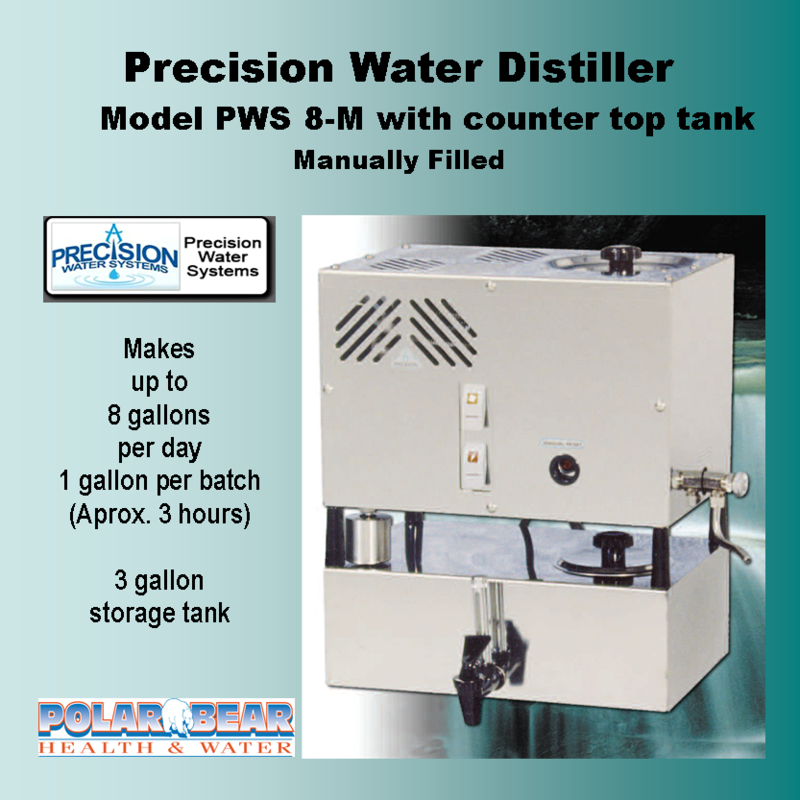 A Precision Water Distiller duplicates the hydrologic cycle inside an appliance. Simple, pure and easy. Manually Filled. …Tap water is poured into the top of the distiller. The heating element heats the water and brings it to a boil. As the steam is produced it raises the boiler tank. This steam is channelled through a full length baffle system, and then goes past a gas release vent and enters the cooling coil to be cooled into pure steam distilled water. As the water exits the cooing coil, it goes through a post carbon filter and into the storage tank. When the distiller is finished producing 1 gallong of water the unit turns itself off automatically.